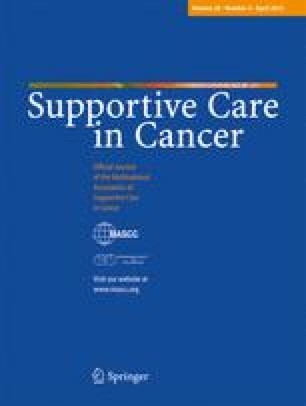 Evaluate effects of electro-acupuncture (EA) and hormone therapy (HT) on health-related quality-of-life (HRQoL) and sleep in breast cancer survivors with vasomotor symptoms. Forty-five women, randomized to EA (n = 27) for 12 weeks or HT (n = 18) for 24 months, were followed for up to 2 years. Distress caused by, and numbers of, hot flushes, hours slept and times woken up/night, Psychological and General Well-being Index (PGWB) and Women’s Health Questionnaire (WHQ) were registered before and during treatment and at 6, 9, 12, 18 and 24 months after start of treatment. After 12 weeks of EA (n = 19), WHQ improved from 0.32 (IQR 0.23–0.53) at baseline to 0.24 (IQR 0.12–0.39; p < 0.001) and PGWB from 78 (IQR 53–89) to 79 (IQR 68–93; p = 0.002). All sleep parameters improved and Hot Flush Score (HFS) decreased by 80%. At 12 months, WHQ, PGWB and all sleep parameters remained significantly improved (n = 14) and HFS decreased by 65%. After 12 weeks of HT (n = 18), WHQ improved from 0.29 (IQR 0.15–0.44) at baseline to 0.15 (IQR 0.05–0.22; p = 0.001), PGWB from 75 (IQR 59–88) to 90 (62–97; p = 0.102) and three of five sleep parameters improved. Both EA and HT increased HRQoL and sleep, probably through decreasing numbers of and distress by hot flushes. Although flushes decreased less in the EA group than in the HT group, HRQoL improved at least to the same extent maybe due to other effects of EA, not induced by HT, e.g. on anxiety, vitality and sleep, supported by subscale analyses. EA should be further evaluated as treatment for women with breast cancer and climacteric complaints, since HT no longer can be recommended for these women. The online version of this article (doi: 10.1007/s00520-011-1134-8) contains supplementary material, which is available to authorized users. The authors thank the steering committee of the HABITS study for valuable advice, Lotta Lindh-Astrand for practical assistance and co-ordination of the regional substudy and to Lawrence Lundgren for language advice. This work was supported by The Medical research council of South-East of Sweden; The Swedish Medical Research Council [K2002-72X-12651-O5C] and The County Council of Ostergotland.